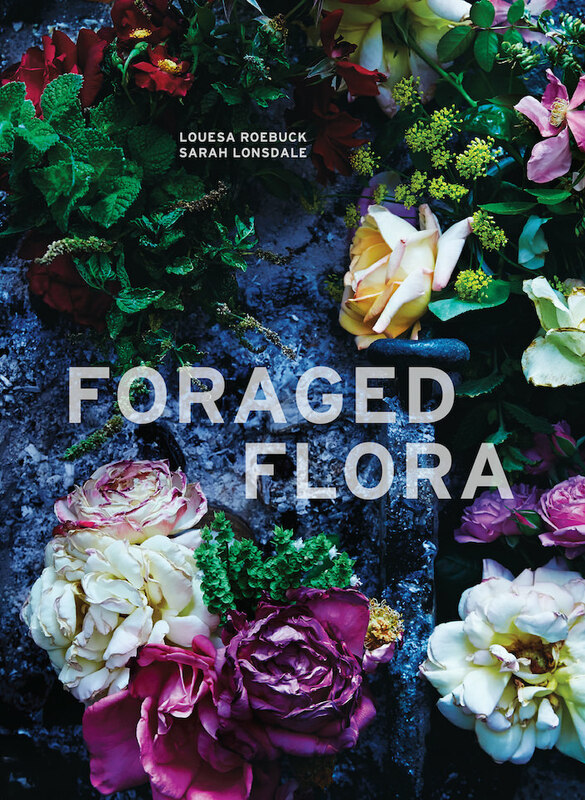 As we enter the new year, it seems the perfect time to share Louesa Roebuck’s wholly original and fresh vision on plants and floral arranging in her recent book, Foraged Flora, written with Sarah Lonsdale, co-founder of Remodelista. 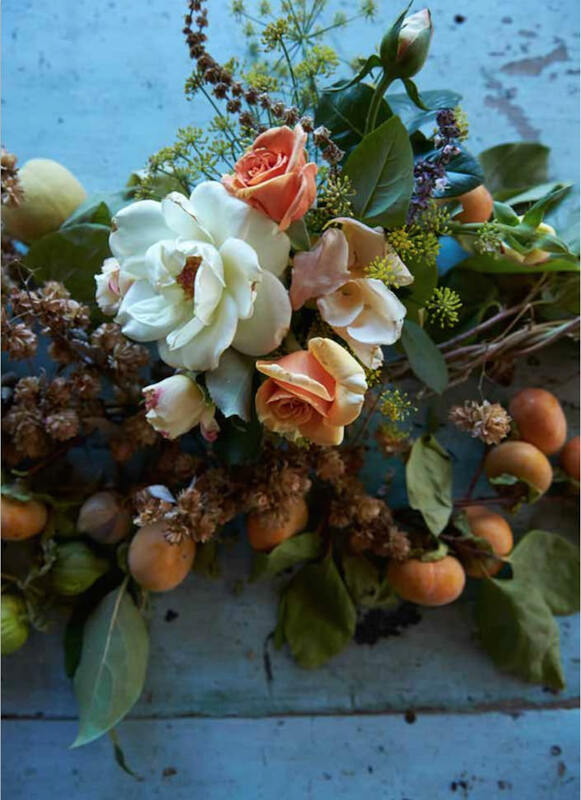 Organized by month, the book takes us through a year of inspiring, organic floral installations and arrangements, all created using local and foraged plants and flowers. 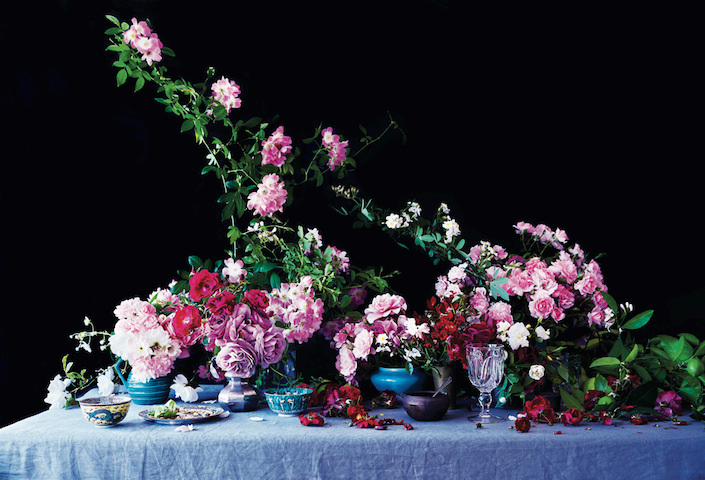 Beautiful and poetic with an organic point of view, the book will not only open your eyes to a new way of approaching floral artistry, but encourage you to fully appreciate and learn to see the natural beauty that surrounds you. Like the original farm to table movement, which taught us to eat seasonally and locally, Louesa advocates for creating arrangements with the same sense of time and place. Together, Sarah and Louesa have documented an entire year of creating arrangements with foraged flora (found freely in nature) or what they refer to as gleaned (gathered surplus from a garden or agricultural land). 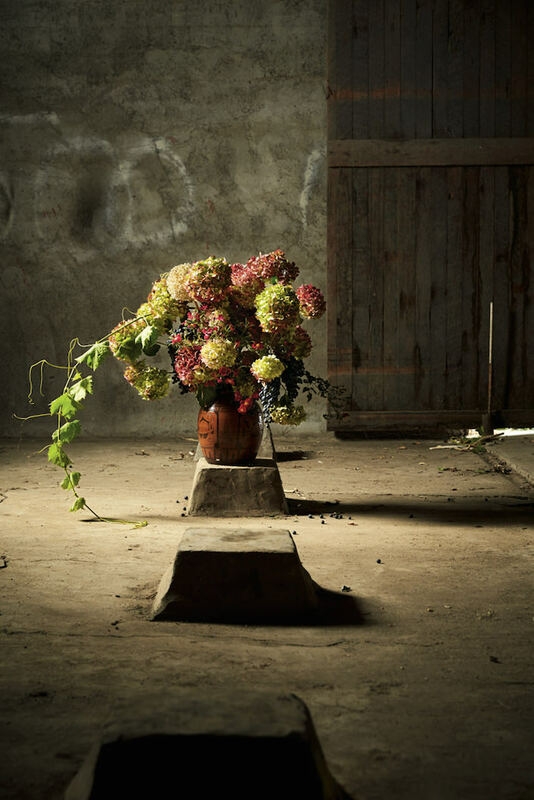 Shot in homes and studios in California, each month’s chapter includes an appropriate passage from literature, a detailed description of place, their experience foraging and arranging and a dialogue with Sarah interviewing Louesa about her approach to the arrangements. Above, the shoot for October in Napa valley began with hops and was augmented with a rich bounty of fruit, herbs and roses from the site’s garden. 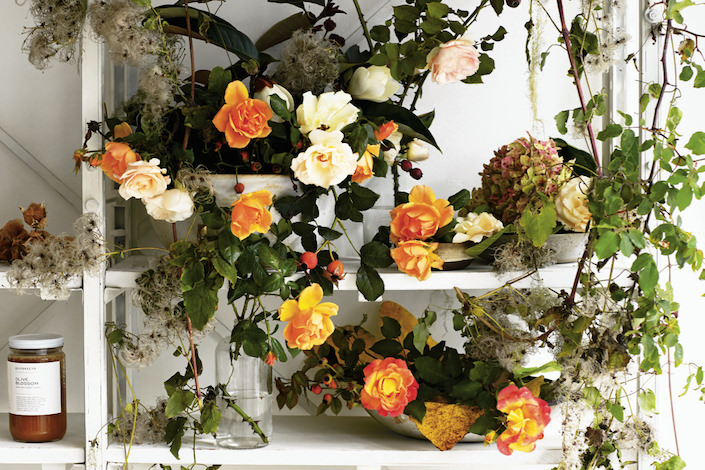 In artist Lauren McIntosh‘s Oakland home, a profusion of luxurious spring blooms provided the abundant basis for Louesa’s April arrangements. 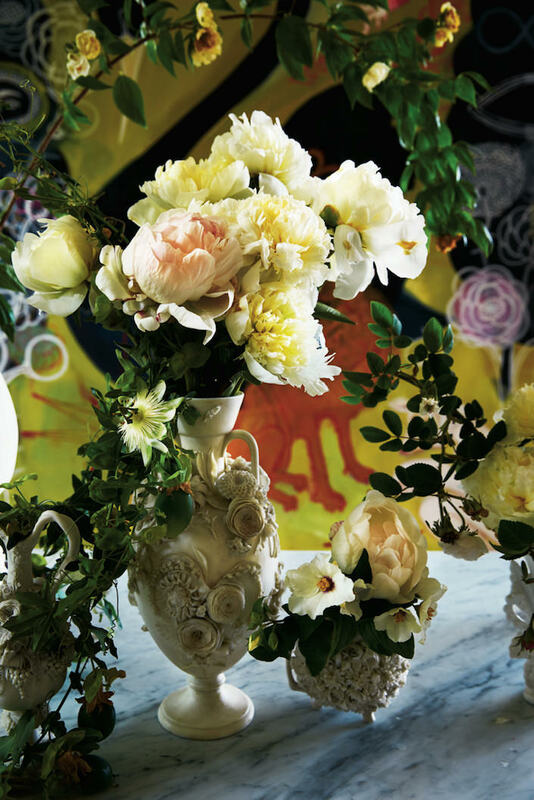 In Lauren’s collection of 19th century European porcelain, the results are lush baroque beauties. For May, we visit Louesa’s cottage, an hour north of San Francisco, above the town of Stinson Beach. In planning the shoots, she always starts with a preliminary list, knowing what is in season and probably available, that is always revised along the way. She likens it to the Chez Panisse model where a menu is planned but may be altered once the cooks see what is fresh at the farmer’s market. “You can’t show up and forage with a list or too many rules.” The result, above, is an exuberant riot of roses mixed with the shrub-like Philadelphus and mint geranium. The final chapter in Foraged Flora, for August, was shot at SHED in Healdsburg, a “market, café, and community gathering space designed to bring us closer to the way we grow, prepare, and share our food.” Owners Doug Lipton’s and Cindy Daniel’s deep connection to the land, the seasons and their local producers and artisans celebrates many of the same values as Louesa’s vision for her floral artistry. Here installations reflect both the beautiful bounty of the farm and the shared passion she, Doug and Cindy have for the natural environment. 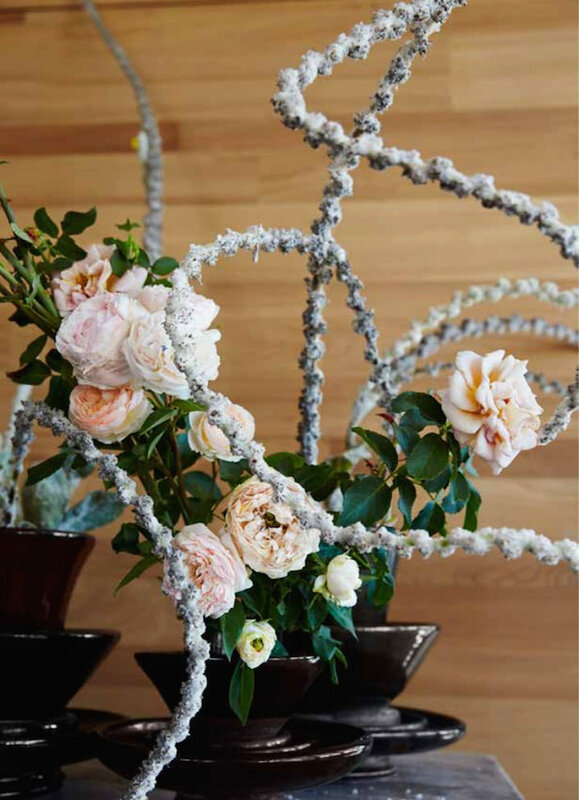 Above, roses mix with the very sculptural verbascum for a delicate yet dramatic effect. In Foraged Flora, you will find beautiful unusual arrangements, stories and practical tips but most importantly you will find a passionate plea from Louesa. Rather like the homeless pup in your local pound waiting for adoption, there are stray flowers and blooms “all around us, right in front of us, waiting to be seen and embraced and taken into our homes, if we can only see it.” As if saying Pick Me Please. This entry posted in books, design. Entry Tags: floraged flora, floral art, Flower arrangements, flower arranging, Flowers Bookmark the permalink. 80 queries in 0.582 seconds.